around the country by filmmaker Karyl Evans. for your club, library, organization, or school. 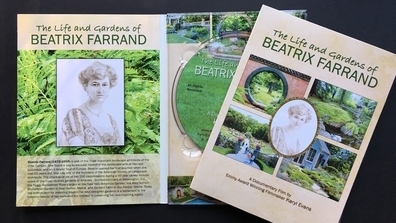 This is the first documentary ever produced about the life and gardens of Beatrix Farrand, the most successful female landscape architect in early 20th century America and one of the founders of the American Society of Landscape Architects. This compelling film chronicles the life of Beatrix Farrand (1872-1959), the niece of Edith Wharton, who grew up in the privileged world of the East Coast elite and fought through the challenges of working in a male-dominated profession to design over 200 landscape commissions during her remarkable 50-year career. The documentary takes viewers on an inspiring journey across the country as we explore her personal story and many of her most spectacular gardens, including Dumbarton Oaks in Washington, D.C.; the Peggy Rockefeller Rose Garden at the New York Botanical Garden; Garland Farm in Bar Harbor, Maine; the Abby Aldrich Rockefeller Garden in Bar Harbor, Maine; and her California gardens. The narrative is recounted through interviews with Farrand scholar Diana Balmori, landscape historian Judith Tankard, and landscape architect Shavaun Towers. Current photographs and footage of more than 50 Farrand-related sites along with archival images from the Beatrix Farrand Archives at the University of California Berkeley are woven together to bring to life Beatrix Farrand’s extraordinary story, reminding us why her awe-inspiring work is still relevant to this day. 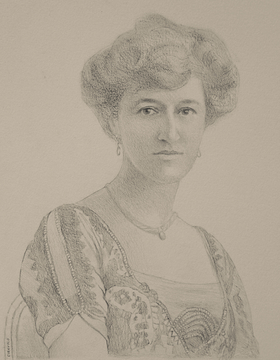 Beatrix Farrand is an inspiration. I am compelled to share the impressive career of landscape architect Beatrix Farrand with as many people as possible. After hearing author and landscape architect Diane Balmori speak at my garden club about Beatrix Farrand’s design work and then after visiting several of Farrand’s extant gardens – I was on a mission to give voice to this innovative landscape gardener. Over the past three years I have photographed Beatrix Farrand gardens from Maine to California, visiting her archives at the University of California, Berkeley, and interviewing scholars and head gardeners who know her work intimately. With a degree in horticulture/landscape architecture, I could see for myself the sophistication and timelessness of her work and her vast knowledge of plants, but when I learned that she had a successful 50 year career including 200 commissions in the early 1900s – I decided I had to make a documentary about this pioneering woman. Even after recently completing my film, I continue to research and photograph Beatrix Farrand designed gardens as well as interview scholars, gardeners, and Farrand enthusiasts for future projects. 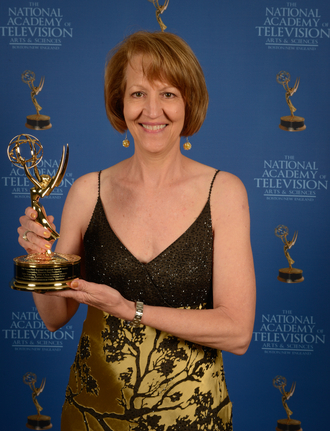 Karyl Evans is a six-time Emmy Award-winning documentary filmmaker. 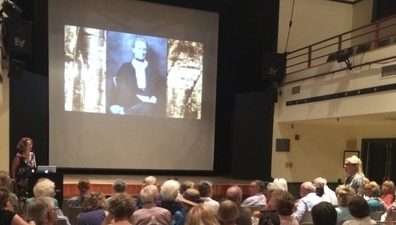 Ms. Evans, owner of Karyl Evans Productions LLC in North Haven, Connecticut has produced more than 50 historical documentary projects over her 30 year career. Karyl is on the National Speakers List for the Garden Club of America and is a Fellow at Yale University.